This is a strange and special year...the last I'll have to celebrate other moms in my life before becoming one myself. While I've had some time to reflect on the meaning of motherhood, I know it will take on hugely new significance in the next few weeks. Before my world is turned upside down in this wonderful way, I want to take the chance to celebrate and thank the one(s) who showed me the way. Here are six fun ideas for doing just that. If I lived near to my mom, my first choice would be to honor her with a home-cooked meal. My favorite go-to's? Spinach quiche and raspberry lemon muffins with grapefruit mimosas. Add some cheesy grits in and she's sure to feel extra appreciated. Not close-by to do the cooking yourself? Send a box of healthy meals straight to her door! A Green Chef box comes with 3 ready-to-cook healthy meals and offers plenty of options. Plus, you can get some $ off your first order. A thoughtful remembrance doesn't have to be fancy. A candle, bar of chocolate, or bag of specialty tea are sweet tokens to communicate to a mom in your life just how special she is to you. I love the options at Greetabl and the way that you can incorporate personalized photos and a message right into the cute packaging. Package up a little self-care bundle with some bath salts, face mask, nail polish, and lotion. Or, if you have the option, give her the full treatment with a spa service, like the mask bar at Chicago's natural skincare stop, Scratch Goods. You know what? She may want some company. You should probably just go with her. I wouldn't be doing my diligence if I didn't remind you not to forget the card! Take a few minutes to express in writing just what you admire about this woman. Include a poem or photo. Gratitude is the essence of this day, after all, so make yours known. A hand-delivered bouquet is a great option for those that don't live within visiting distance of family. I've long admired Farm Girl Flowers for their artful arrangements—a perfect choice for sending a tangible expression of your love. *Bonus tip: Tie off your gift with a free printable mother's day tag! All suggestions here are my own. Content is not sponsored. If you're not in my circles (stationery/wedding) you may not keep apprised of postal service updates. But, if you're in the biz, it's likely you have your finger on the USPS pulse, too. If I didn't have limited discretionary income, I'd spend my savings on stock-piling some of the current beauties for sale. Read more below about what I'm loving for snail mail these days. Oh, Rifle Paper Company, you can do no wrong! 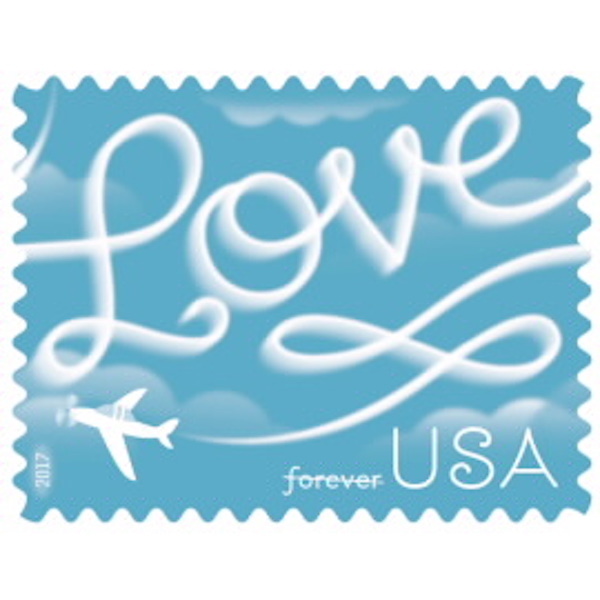 This forever stamp is perfect for valentine's day, weddings, save the dates, really any occasion. It'd really pop against a springy-colored envelope. This classic painting brings back so many fond art class memories. I've always loved this image, and it's apropos for any letter sent longingly to a far away friend or family member. The wistful hope is visceral in this Wyeth painting. Such a lovely one. You can get a full set of his paintings through USPS. These old-timely looking classics are the trick up a stationer's sleeve. If you're wanting to go for vintage stamps, but can't quite swing the cost of a whole set for each envelope, then mix one of these in and don't worry about collecting too many other pricier stamps to round out the look. I still love this 'skywriting' goody for its typographic quality and homage to a time when penning messages across the sky was a popular (and romantic) way to express affection. This was crated by Louise Filli and Jessica Hische, and takes its part in a long line of 'love stamps.' 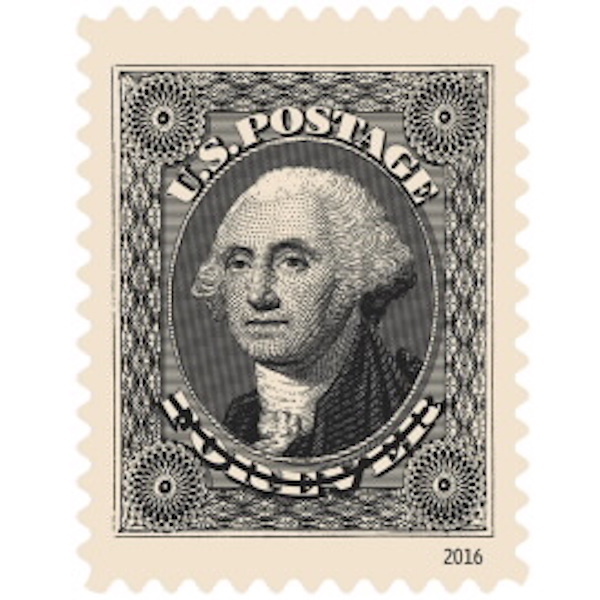 The USPS started issuing stamps in this series in 1973. 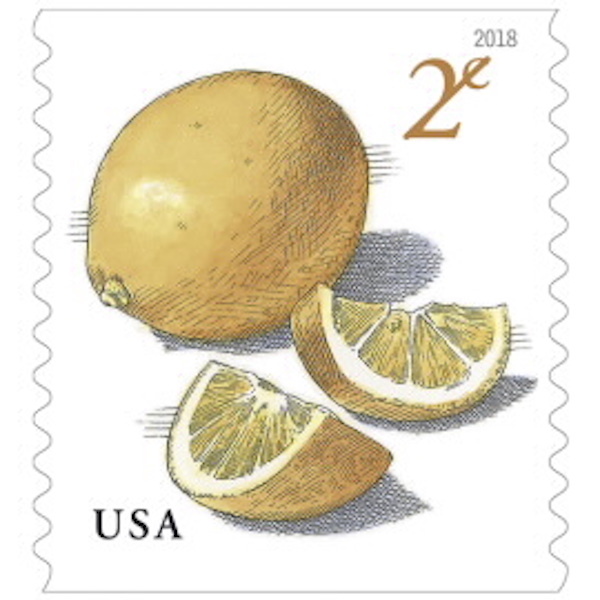 This Meyer Lemon 2 cent stamp is great for supplementing lesser-value stamps. It also comes in a handful of other fruits (strawberries, pears, and apples) and is perfect for spring and summertime correspondence. 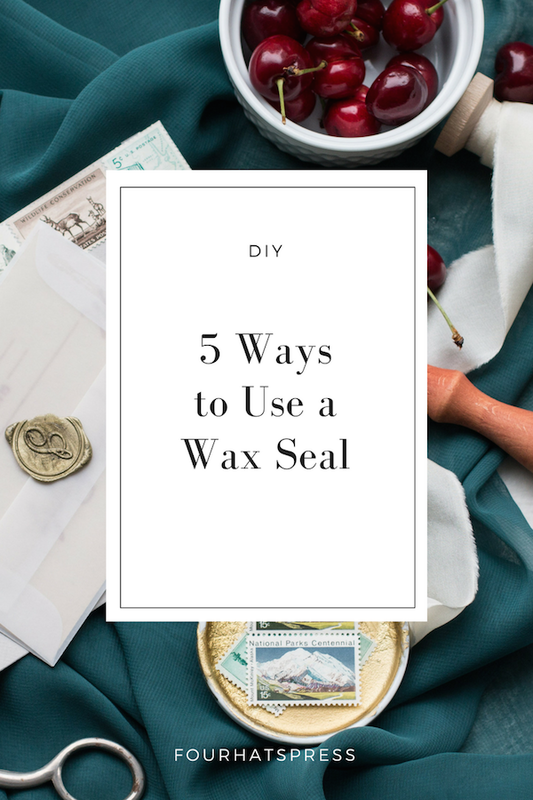 There's no doubt that wax seals add a wow factor to any envelope, but did you know that there are other ways to use these gorgeous old-fashioned embellishments? Read below about some untraditional uses for them. 1. Pretty up your place cards. Setting the table with place cards is always a good idea, but adding extra detail with a custom wax seal makes them extra special. This is a great place to bring in your monogram, or a design motif that you've been using throughout your paper or decor. 2. Adorn your menus or programs. Like with place cards, simple menus or programs can get a boost with the addition of a wax seal. Imagine a line of letterpressed text complemented with a crisp, metallic wax seal. Come on. 3. Seal your gift tags. Leave your personal mark on every gift you give by placing your seal on plain gift tags along with your short message. 4. Bring back the calling card. Business cards should not be reserved for those in business. I love the idea of bringing back the old idea of a calling card, complete with your name, phone number, email address, etc. Add a wax seal and you're sure to make an impression with new acquaintances and friends. Don't have an envelope but want to write your husband a sweet note for his lunch box? A wax seal will add a level of thoughtful care to your correspondence, however quotidian. Want some help creating your own custom seal for use either with invitations or other fun ideas? I've just added a listing to my shop. Head on over and get started today! There’s something about an envelope liner that just ups the ante of an already-beautiful paper suite. Thick cottony paper and beautiful fonts or scripted lettering make quite a statement for classic, elegant wedding invitations. Add an envelope liner to tie the pieces together or bring in a new design element or color, and come on… it’s OVER! I just love the way that envelope liners allow for you to introduce pattern or color, and the options are near endless. 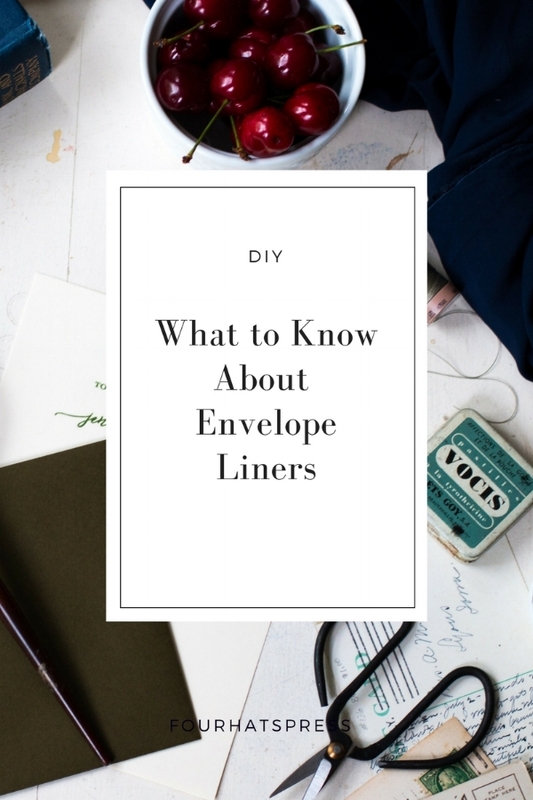 Here are few things you should know when adding them to your own envelopes. Watch that envelope flap shape. Not all envelopes are created equally. For most of my suites, I opt for baronial envelopes or a v-shaped flap. A european style means that the flap is even more dramatic and deep. (Think about your favorite deep-v tee from American Apparel. It’s like that.) You’ll want your envelope liner to mirror the shape of your envelope, so be sure that you’re buying compatible styles. Don’t sign and seal just yet. It’s best to insert as a flat sheet and attach with double-sided tape or glue before folding. This ensures that you’re in a good position before adding that non-reversible crease to your liner. *Another tip: If you’re planning on getting your photographer to document your entire paper suite on your big day, you may want to consider leaving a few unfolded, as they tend to look best this way. The extra layer may affect your suite’s ability to ease in and out of the envelope. Consider this choosing dimensions and paper weight and ask your stationer to create a sample to make sure the total package will work well. Don’t be afraid to go bold. Envelope liners are the throw pillows of your invitation suite. If you’re anything like me, you may opt for classic when it comes to the color of your couch. A nice natural linen or basic grey. But, throw pillows—that’s where the fun comes in. Think about liners the same way. They can add a dimension of personality and color to an otherwise classic design and really delight your recipients. They really are one of the first impressions your invitations can make. Have your stationer tie in a special element from your invite design or another detail or motif you’ll be highlighting elsewhere in your celebration. Custom liners are a great way to unify the event. This place is great for getting custom-designed liners printed and cut-to-size, but if you don't mind hand-cutting liners yourself, your options are endless! After you created a template for cutting, you can use just about any patterned paper of your choosing. Add a layer of old-world elegance to any occasion. They’ve been around for a while, but they’re having a comeback. Here’s what you need to know about making and using them. 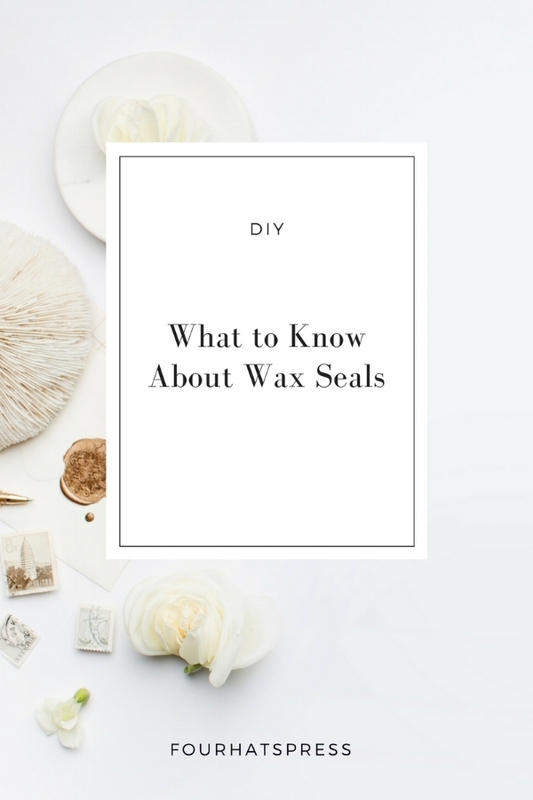 You can hand-drip with wicked wax sticks beforing stamping, you can use a glue gun, you can pre-make them on a different surface (like wax paper)* and then attach, you can use a measuring spoon to portion out the wax, or you can buy adhesive. This is a great option for those who want to be able to assemble themselves. Just be sure to buy an extra-strong adhesive and consider sending a test envelope through the mail to yourself just to make it survives the trip. *Just be sure to peel them off before too long, as they can get stuck. Work in batches to figure out a good rythm of making and peeling. When making seals, you’ll want to keep the metal part of your seal cool between uses. Keep an ice cube or pack close by for resting between each stamp. 3. The post office will want to weigh in. The weight of your wax seal may or may not tip the scales on your overall invitation weight. Just be sure to confirm the total postage amount needed before proceeding with the mailing process. 4. They’re not just for envelopes. 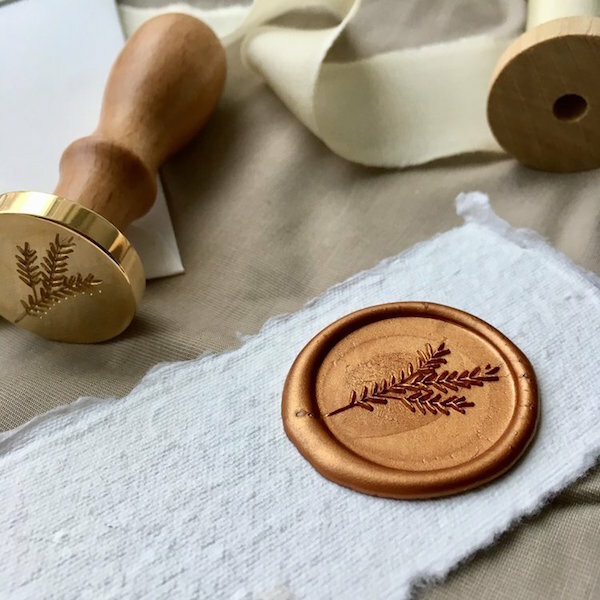 Wax seals add a fun detail to place cards, menus, and other day-of paper items. 5. They provide even more room for customization. Use an initial, flower, simple word, or other small and significant illustrative detail. This is another extra-personal way to add thoughtfulness to your paper and carry out a theme throughout your entire paper suite. Find some youtube tutorials, watch, and then go to town. Be sure to order extra wax so that you have enough to make some mistakes. Whether or not you like the imperfect, asymetrical look or the perfectly round variety, just give yourself some time as you learn the best technique for creating them.